From high schools to universities, we've got you covered. 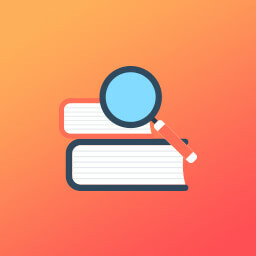 If you've been tasked with keeping an educational institution running by managing its students, staff, and operations, this app is for you. 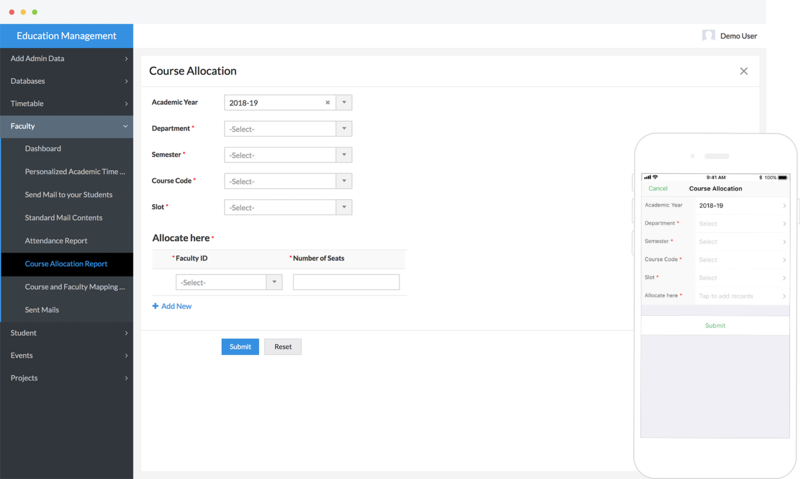 Specifically designed to systematically control the various parts of an institution, the Education Management app is guaranteed to make your work easier by automating a plethora of tasks involved with day-to-day administration. Everything you'll need to manage an institution. Give staff and students login IDs, and their own dashboards. Students will appreciate the fact that the student dashboard displays upcoming classes, events, and attendance history. Staff can view student details and attendance record, allowing them to plan the schedule of classes. All you have to do is specify courses, holidays, and term duration. The app compiles customized timetables in a convenient, calendar-style report. Generate separate timetables for students and teachers, or a common one that can be used by administrative staff to plan courses. Give staff an easy way to monitor students' attendance through a dedicated tab on the staff dashboard. With buttons to send bulk emails to students and tweak timetables based on demand, the app will free up valuable time for your teaching staff. Accurately track the progress of academic research projects undertaken by students and faculty. Carry out periodic follow-ups using automated emails, and update completion statuses with a single click. 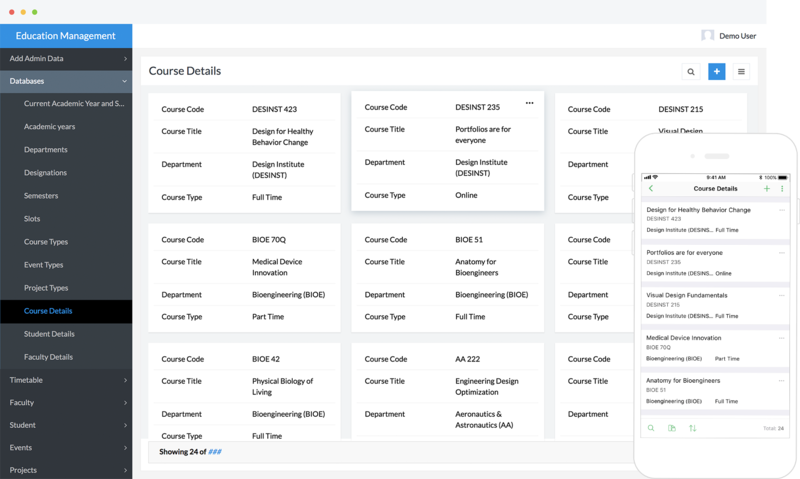 Make the admissions process less confusing by filing every new student's personal information—along with course or major chosen, slot preferences, and contact information—in a unified, searchable database. Automatically generate ID and registration numbers for each new enrollment. Do away with the chaos while planning cultural or scholastic events by getting every detail down in the app. With a module dedicated to events, add programs to each event, along with the schedule and itinerary. All our apps are fully customizable, right out of the box. Coupled with the guided scripting feature, our drag-and-drop form builder allows you to add limitless functionality to your app. Embed admission forms on websites, set up modules for parent-teacher collaboration, and more. For every app you access on your computer, there's a fully optimized native one waiting for you on your smartphone. Enjoy all the features of your app wherever you go, and on any device. Work even when you're not at your desk by looking up timetables and scheduling classes or events, right from your phone. We're flexible. Zoho Creator features integrations with a host of major software solutions like Quickbooks, Zapier, and Salesforce to ensure seamless connectivity between your various productivity applications. You can also integrate with advanced attendance tracking tools for faculty, like biometric systems, time clock software, and more.